A huge development has been proposed that would effectively join El Cotillo and El Roque together. 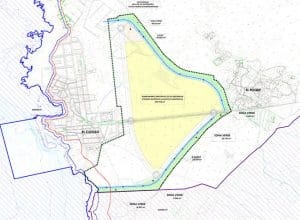 This is reported in an article by Diariode Fuerteventura.com which also gives information on another big development in Parque Holandes. The full Spanish article can be found here. They are proposing that the huge development includes 3000 beds in 5 star hotels together with sports facilities and an old peoples’ home. “The promoter of the project is the Cotucasa company, based in Tenerife, which owns more than 85 percent of the land and has Julia Alison Killick Culshaw as sole administrator. In the report of the project of El Cotillo, which would be located on a plot at the entrance to the town, it is said that its objective is to “promote tourism use, and therefore, enhance the economic activity of this island area” and that for this purpose it proposes “equipment that serves as a strategy to improve the already consolidated tourist centers through the development of complementary tourism activities”. In addition, the El Cotillo project proposes creating a kind of bypass, a new road from El Roque to the lighthouse and also to the south. Inside this plot there would be a classroom of knowledge of the environment and the North Coast of Fuerteventura “where the history of the settlement is exposed, as well as historical images of its growth always linked to the fishing activity until the end of the 20th century”, with Event room included. In both cases, in the two projects presented by the promoters, the zones chosen are classified as of “low” environmental quality. The one of El Cotillo, however, although it is outside protected natural spaces, it is adjacent to a protection zone of birds, and the northern end invades the Habitat of Community Interest of mobile dunes of the “Dunas Blancas” littoral. I suppose that progress is innevitable, but at the same time the development and the developers, take into account the beauty of the area. Unfortunately those who will take the decision will probably have a financial interest in it going ahead, albeit indirect. JP, thanks for your sharp observation and reporting. This development would destroy the peace and tranquility of both El Cotillo and El Roque – it must be opposed! 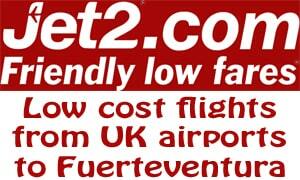 Investor’s, based outside Fuereventura, want to cash in on the area by destroying it! We were told that the area was ‘national park’ and only very limited development was allowed. 5 star hotels with spas and sports facilities were never mentioned!! Thanks JP, please keep monitoring this proposal and keep reporting. Absolutely. People who don’t care about El Cotillo and only care about making money. Thanks Tom. Slow growth good, big development investments bad. This could well be the end of El Cotillo as we know it. 3000 beds means crowded beaches and infrastructures inadequate. Accommodation for workers in El Cotillo is already at a premium and people who work in the village are being forced to commute from La Olive and further afield. Pure folly.